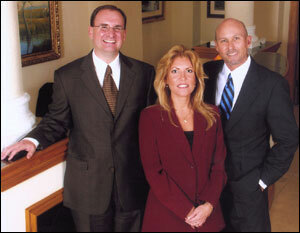 The Marital and Family Law Practice Group of RICE & ROSE consists of Philip J. Bonamo, Karen A. Foxman and Paul E. Rice, Jr.The attorneys have combined experience in marital and family law matters of over forty years and are members of The Florida Bar Family Law Section, the Volusia County Bar Association Family Law Committee and the Academy of Florida Trial Lawyers. The Family Law Practice Group has provided representation to thousands of individuals in a wide variety of matters including divorce; custody; paternity; modifications; pre-nuptial agreements; injunctions for protection and domestic violence. For additional information regarding the credentials of the attorneys in the Marital and Family Law Practice Group see the Marital and Family Law Practice Group Attorney Profiles.